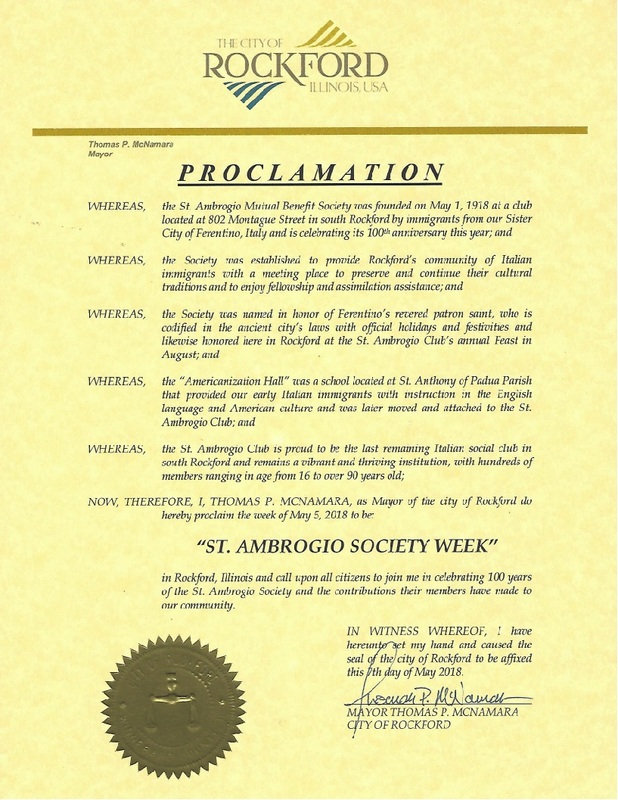 Saint Ambrogio Society is a social club located in Rockford, Illinois, USA. It began as an Italian-American club only for those who migrated to America from the Ferentino region of Italy, but today it has grown to open it's doors to all peoples and cultures. It's purpose is to bring together those interested in socializing, fellowship, music, laughter, and games while supporting various civic and charitable works to enrich the lives of it's members and the community. Because the roots of the Club's past go deep to it's ITALIAN HERITAGE, it will continue to feature activities that educate and share popular Italian traditions with friends and family. Events include Italian food, music, and Bocce (Italian lawn bowling), along with Tombola and raffles. 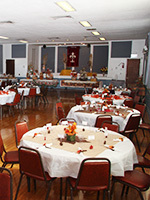 Many parties are held throughout the year to celebrate various events and holidays including the annual multi-day traditional Feast of Saint Ambrogio in mid August. 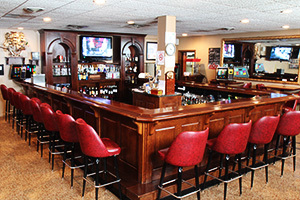 LUNCH Saturdays- 11:30 a.m. – 1:00 p.m.
Sunday Funday 11:30 a.m.—4 p.m.
Breakfast 3rd Sunday - 8:00 a.m. – 11:00 a.m. The club is in need of your support!!! The club member support for our Wednesday pasta nights, Sunday breakfast and Saturday lunches is very low. For our club to survive we need members to support our club events. We are a small club in membership so it takes all of our members to make this club thrive. We can't have the same small amount of members attend and volunteer for club events. We need everyone! If there is any reason why you don't like to come to pasta night or any other event then please come talk to me and we'll try to fix this. Ladies Auxiliary member Valeri DeCastris will be inducted into the Italian Hall of Fame at the October 13, 2018 banquet of the Greater Rockford Italian American Association (GRIAA). Valeri and her family have been involved in the club since the 1930s, and her grandfather Orlando DeCastris served as president for several terms in the 1930s and 1940s. 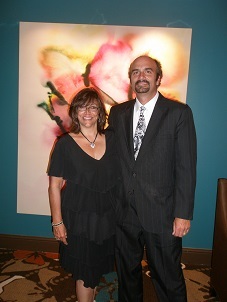 Her husband Dave Beccue is a member of the club too. 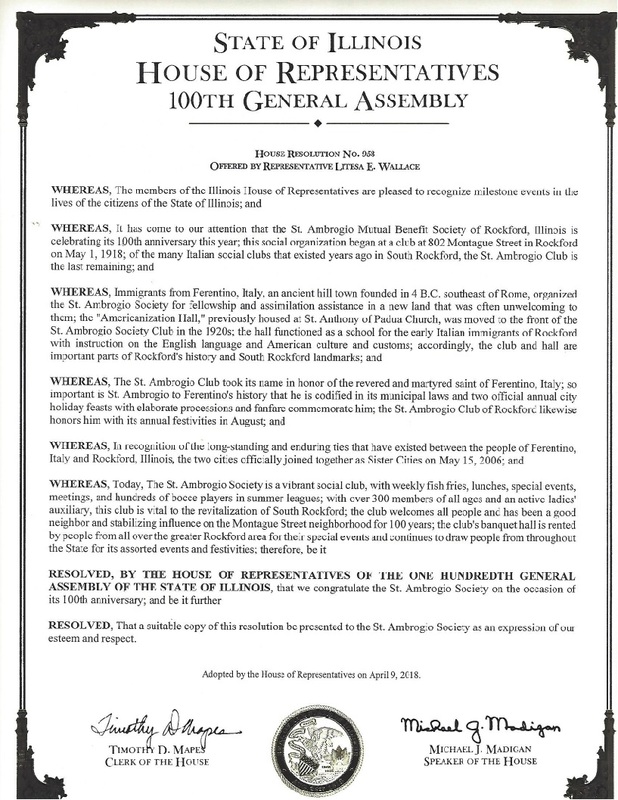 GRIAA’s annual Italian Hall of Fame and Special Recognition Banquet honors Rockford-area Italian Americans who have made significant contributions to the Italian American community and the community at large. These individuals have shown tremendous dedication, leadership and accomplishment in various endeavors. 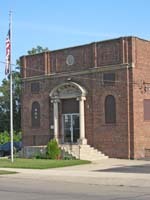 Nominations come from the community and the honorees are selected by the GRIAA Hall of Fame Committee annually. This prestigious group is inducted into the Italian Hall of Fame and special recognition awards for accomplishments in various categories such as arts, sports, business, military, etc. are also given.